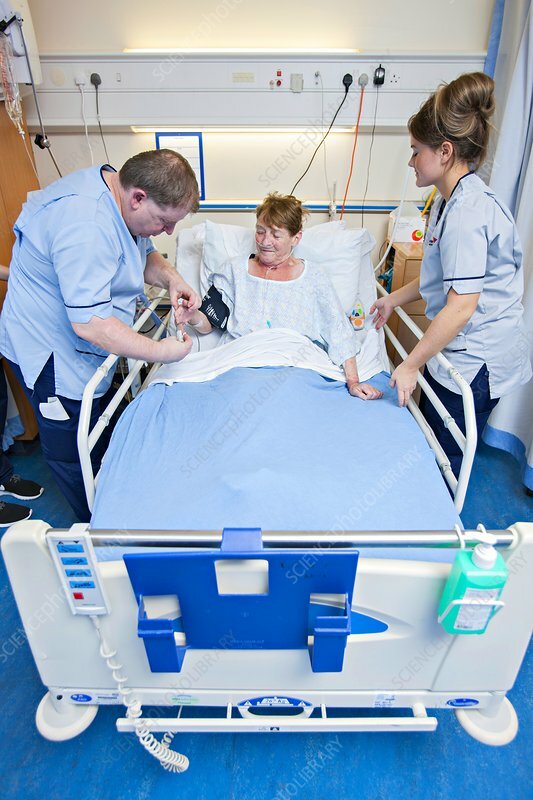 Patient care in hospital. Nurses on a hospital ward caring for a patient who is wearing a nasal cannula that is providing oxygen for her to breathe. Her blood pressure is being measured and her blood oxygen levels are being monitored by a pulse oximeter on one of her fingers. Photographed in Edinburgh, Scotland.